This guest blog is the third in our Tomb Raider Inspirations series, in which fans of the Tomb Raider series share their thoughts on the franchise and its leading lady and explain how their personal and/or professional lives have been influenced by one of the most successful video game series to date. Today’s guest blog is from the author of Sometimes Inspiration Strikes, who explains how her love of the Tomb Raider franchise was rekindled and why she believes Lara has been the muse for strong fictional female characters since 1996. I want to talk about Lara Croft, the protagonist of Tomb Raider, and how she seems to have filtered some of her personality and even her looks into the popular strong female characters of today. I was obviously around when Tomb Raider first hit our Playstations and I did love it. Well, I loved her mansion level. I was far too chicken to dream of leaving for the actual adventure. Fast forward 17 years and I started to take an interest again. After Tomb Raider: The Last Revelation, I sort of lost interest. Mainly because suddenly, boys, clothes and make-up were more important to me so I lost track of what happened other than that Lara was completely redesigned by Crystal Dynamics. So I bit the bullet and ordered the Crystal Dynamic trilogy for PS3 (which, for those of you who don’t know, includes Anniversary, Legend and Underworld). I completed Legend relatively quickly and my love of Tomb Raider was quickly rekindled. I quickly went in search of all the original Core TR games and so far have collected TR, TR3, TRLR and TR Chronicles. I still need to find TR2 and Angel of Darkness. Now, recently I’ve been massively trying to get my life to where I want it. I’ve left university and I’m on the hunt for that perfect job but I’m also trying to really live my life whilst I still can. This starts with losing all the weight I gained when I was 16, which is a grand total of 4 stone. So far, I’m one pound away from losing 2 stone. Half way there. I want to get fitter too and to be really adventurous by trying new things and travelling. The only problem is that being adventurous is expensive. So I play TR and read a number of novels about adventures to fill the void. This when I started to admire the qualities of all these characters and saw some correlation between them all and, the more I thought about it, the more I saw elements of Lara in them all. Obviously Lara has intense physical fitness and abilities that are pretty unattainable but there are other aspects of her personality that seem to filter through to other strong females. First off, I noticed a correlation between Katniss Everdeen (The Hunger Games) and Lara. On a superficial level, both have one long plait/braid. Lara was famous for having crazy long hair that she wore in plait/braid. I actually always used to think with all the swinging around and jumping she does that it would get in her way but, nonetheless, it became an iconic feature of her appearance. It’s the same for Katniss. But one of the most admirable qualities that both Lara and Katniss have is that they both have a strong loyalty and sense of responsibility; Katniss to her family and friends and Lara to her morals. Both of them make mistakes but always endeavour to put them right. So when I thought about the correlation between the two characters, I had to wonder how much did Lara Croft inspire Suzanne Collins when she created Katniss? It’s not just Katniss though; Lena Holoway from Delirium and Tris Prior in Divergent both have qualities that relate to Lara, whether it be Lena’s passion or Tris’ bravery. Lara Croft was a unique and visionary character when she was created and was a huge success. The games were brand new and, of course, a female protagonist who wasn’t scared to get down and dirty. Even now, she brings in a huge fan base whether you love the original Core games, or Crystal Dynamics reinvention or even her latest remodel in TR 2013. She will continue to inspire and draw in huge fanbases for a very long time. Source: The original blog post can be found here (link no longer available) and has been posted on this blog with the permission of the original author. 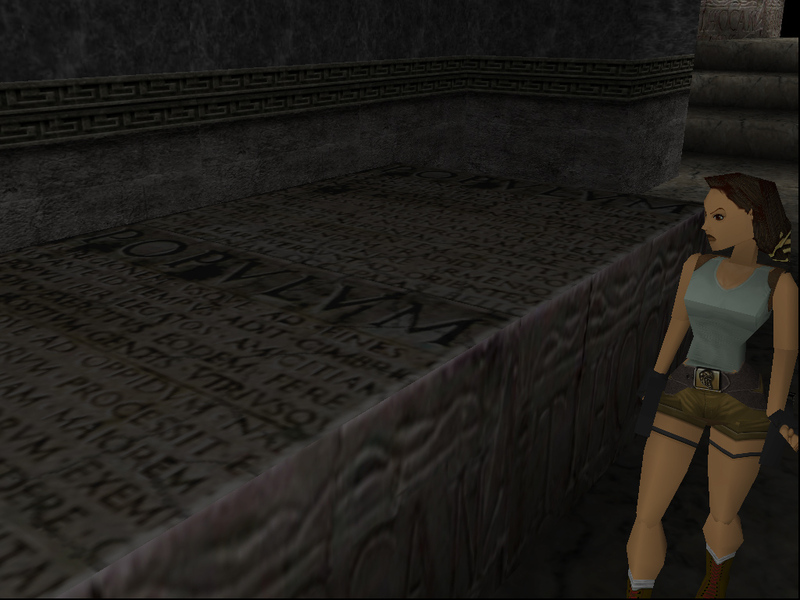 Want to write a guest blog for the Tomb Raider Inspirations series? Click here for more information!